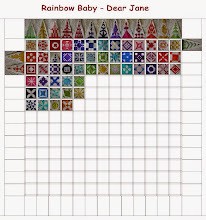 Dear Jane: Happy New Year and my best wishes to you all for a good quilting year. 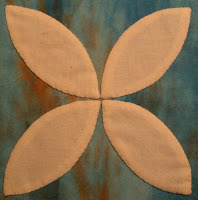 Happy New Year and my best wishes to you all for a good quilting year. E-1. Aunt Exie's Phlox. Hand appliqué. 5 pieces. that is a nice simple block isn't it. I always like it. Excellent work. Can't wait to see all of your blocks.